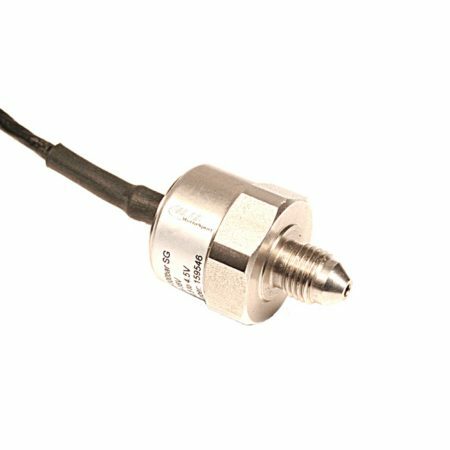 Brake Pressure Sensor: 0-100 Bar. Professional quality AIM Motorsport analogue sensors fitted with male 4 pin black 719 binder plug connections, to suit all AIM loggers and dash display / loggers. Easily installed in -3 brake line using a 3 way t-piece (see AIM Accessories). 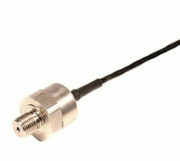 Can also be used for measuring other pressures too high for the 0-10 Bar sensor. Available with a M10x1 or -3 JIC thread (choose from options provided). To assist in fitting the brake sensor into -3 braided stainless steel brake line we offer the following t-pieces, -3 T-Piece or M10x1 T-Piece (check our AIM accessories page or enquire for assistance). 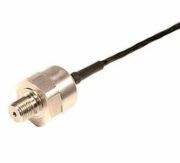 This AIM Motorsport brake pressure sensor weights only 34 grams and is made from high-quality stainless steel. Tried and tested across all levels of Motorsport and offers reliability and resilience to vibration and high temperatures.